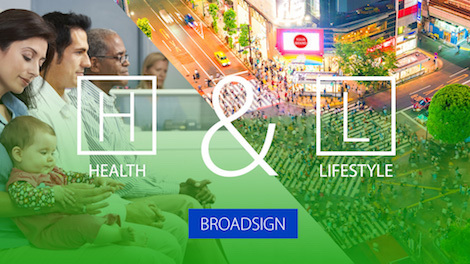 BroadSign International, LLC has announced programmatic buying access for more than 10,000 screens globally. This initial programmatic deployment enables access to 400 million impressions per month via DOOH screens located in healthcare, veterinarian and lifestyle locations, such as shopping malls or near sports complexes. As part of the launch, BroadSign is also announcing integration with several demand-side platforms (DSPs) and exchanges for its supply-side platform, BroadSign Serv SSP. This integration will enable programmatic and digital media buyers to purchase DOOH inventory from within popular digital ad platforms. Through integration with popular DSPs and exchanges, programmatic media buyers will be able to transact DOOH media buys right from within their existing trading platforms. To facilitate this process, BroadSign is pleased to announce completed and in-process integrations with OutMoove, Platform 161, Rubicon Project, and Splicky. Just as digital is transforming the OOH industry, programmatic buying will transform the way buyers and sellers transact DOOH inventory. Chris Waterman, Head of DOOH at Rubicon Project told us “Rubicon Project is excited to provide its unparalleled marketplace capabilities to all of BroadSign’s partners through this integration. Today’s announcement is a step forward in Rubicon Project’s mission to provide premium supply for all its buying partners”. This entry was posted on Tuesday, October 31st, 2017 at 13:30 @604 and is filed under DailyDOOH Update. You can follow any responses to this entry through the RSS 2.0 feed. You can leave a response, or trackback from your own site.